If you only want to remove free chlorine and other impurities from your water, I recommend getting a Sprite Shower Filter. This is one of the few showers filters that will remove most free chlorine from your shower. This combination filter is also available — it incorporates a sediment filter and a Vitamin C filter into one unit. Also, many cities now treat water with chloramines instead of chlorine. There are no conventional shower filters that will remove more than a small amount of chloramines from your shower. The only way to remove chloramines is to use a Vitamin-C based shower filter which are only made in Korea and Japan. Because your skin absorbs substances while showering. Typically, 60% of the chlorine that most people absorb daily comes from showering in chlorinated water. Chlorine damages your hair and skin. Shower water also contains things like heavy metals and VOCs (volatile organic compounds). Ideally, all these things should all be filtered out, but filtering water at the showerhead is problematic, because the water is typically hot and under high pressure, making filtration difficult. Carbon filters, which are normally excellent at remove chlorine, cannot handle the volume and heat of shower water. Because of these problems, most shower filter makers rely on a metallic medium called KDF. Shower filter vendors typically show impressive charts to demonstrate long-term removal of chlorine. However, if you read the tests carefully, you’ll see that they apply to “free chorine” (chlorine that has not combined with other constituents in water), and the reality is that KDF-filters have little effect on “total chlorine” (combined chlorine). In fact, chlorine is often added at the water plant as a blend with ammonia called “chloramine.” KDF is not effective at removing chloramine or combined chlorine. Vitamin C filters are simple in design — they contain a solid block of Vitamin C (ascorbic acid), and water runs through the filter and comes into contact with the Vitamin C. The Vitamin C neutralizes about 99% of the chlorine and chloramines in the water, and their effectiveness does not diminish until the Vitamin C is completely used up. The filters last about 2-4 months before they need replacing, depending on how many showers you take. The filter is transparent, so you can see when the Vitamin C has run out. Refills for the Sonaki filters are priced at $37 for 5 filters. If you are just interested in removing free chlorine and sediment from your water, my recommendation is to use a Sprite Shower Filter. This filter is NSF Certified to standard #177 for shower filtration. It removes most free chlorine and some combined chlorine, sediment, hydrogen sulfide, iron oxide. Besides the fact that it does not remove chloramines, this is pretty good filter, and it is constructed with brass instead of the usual plastic. The filter comes with a one year warranty, it is rated to filter 20,000 gallons or last 12 months, which ever comes first. It should be flipped half-way through the year. If the O-ring on the filter breaks, Sprite will replace it for free. You can get the Sprite Shower Filter on Amazon for around $48. See also my review of low-flow shower heads — these shower heads can be used in conjunction with these filters. Awesome Post. Wanted excellent content! I have tried out a Sprite with no recognizable results. I had developed my normal water tested as well as chloroform as well as other THMM, that we know Vitamins C will help with. Our water method doesn’t make use of chlorine, yet chloramine. Has anyone found/used a chloramine shower filter? If so what brand? I just moved to Denver and I’m getting sick from the chemicals. Reports seem to be mixed if any filter is actually effective in the shower. Thanks! My wife and I have been using the Sonaki Vit. C shower filter for over a year and assume it’s doing what it claims. Our complaint is that the company – based in Phoenix, AZ – does not take phone calls from customers who have questions. They require an email for questions which, based on our experience, is never answered. In essence, their customer service is lousy. Tip, if you take baths, get yourself some Vit. C in granule form – usually a teaspoon is enough – for the bath water. Best part? You don’t have to contact Sonaki! Shower filter is most of important thing for remove chlorine. Your tip is very helpful and healthy. Every body should use Vitamin C shower filter because it’s 100% remove of chlorine. Thank you for share a such helpful tip. I am agreed with you. I just read your article and now i can understand what should to do for this. I am definitely going to invest in vitamin c shower filter but I need some help in choosing one. I found some that are more affordable than the ones you listed on this blog could you take a look and see if it would be ok to purchase these. Thanks for the sharing such a helpful article and also informative. Wow I know Vitamin C one of the important element for our body, But this article thru I know about new thinks about Vitamin C. It’s neutralize chlorine and chlorinates from our shower water. it’s so cool man. Thanks for Shearing this Knowledge. I live in a low-income high crime neighborhood and first noticed my hair getting dry and tangled after about 2 months of living here. When I found your blog I was so excited to find information that would help. I bought a Sprite shower filter at home depot and it has done just about nothing for me. After reading your article I am definitely going to invest in vitamin c shower filter but I need some help in choosing one. I found some that are more affordable than the ones you listed on this blog could you take a look and see if it would be ok to purchase these, please. Do any models remove sodium ?? Have u tried flowtec or the Asian models with the ceramic looking balls in red/white ?? Yes, I recently explained this in my blog https://bestflushingtoilet.org/ about the importance of shower filter. Ascorbic Acid types of Vitamin C are not good for you. These are the typical C’s most people purchase and take. The only Vitamin C a person should take is whole food vit.C. That being said, is the vitamin C used in this filter flooding my body with it? Although, chlorine is bad, so is ascorbic acid. Not true vitamin C. Just wondering how much is getting into my cells from using this? I suspect there’s not much damage to your cells from the small amount of ascorbic acid that these filters release. Showering in chlorinated water is known much more damaging to your body. I AGREE WITH BONNIE. HOW COULD VIT C ENTER OUR BODY THROUGH SHOWING AND ONLY WHEN U USED HOT WATER OR WARN WATER BECAUSE HOT OR WARN WATER OPEN OUR PORES AND ENTER OUR BODY. BUT HOT WATER OR WARN WATER IS BAD FOR THE BODY. BETTER USE COLD WATER THAT WILL ENERGIZE YOUR WHOLE BODY. this is one of the nice post about how to choose best shower filter and here some great review and guide. I think this shower filter can remove 95% chlorine form the shower water. so its very nessasary to us and I am also also try to buy it asap. I loved it. I am from life ionizers and we just came out with a shower filter with vitamin C ceramic technology. We promote it as the filter reduces chlorine plus the chloramines and lowers pH so it is good for your skin and hair. I read good things about this on your site. Are you open to reviewing our filter? Nice article, i must bookmark it and keep posting interesting articles. Awesome shower heads. I would recommend to use only eco-friendly shower head. How about a filter(s)? for kitchen or bathroom sink faucets? We brush our teeth there, we wash our faces there? Any thoughts on what might be helpful? Very much appreciate the information on this page. I have always had soft hair when using very hard well water (Minnesota) on a water softener. Three years ago I moved into a condo in a small community on city water. Within 18 months my hair started drying and breaking/falling out. I thought it was due to other issues so I spent lots of money on doctors and products. Recently I was researching on the internet and found that using distilled water would help. I started buying gallons of it to try and sure enough, just doing the final rinse of my hair with distilled water made a huge difference, it became softer. Now I am researching shower filters that would return my hair (and skin) to it’s softness versus buying gallons of distilled water. I would welcome any thoughts on the type of filter system to use that would provide the same results, if not better, as distilled water. Obviously, the more chemicals it removes, the better. Barb I don’t know of any shower heads that would work but I have a reverse osmosis filter system under my kitchen sink in my laundry room and reverse osmosis is like distilled water so I will give it a try because I have the same problem when I moved from one town to another. The reverse osmosis machine would save you money and take care of your hair too. My next step is to put a whole reverse osmosis system set up for my whole house. I’ve been thinking about that for years. Good luck. Just wanted to give you a head’s up on the RO water system you are talking about doing in your whole house. I learned that hard way that if you are going to consume it, and ONLY RO water, you need to be taking mineral supplements or remineralizing your water. This is only if you are drinking it exclusively. I ended up with severe mid-back pain after 3 months of nothing but RO water, and didn’t know I needed to take minerals. It basically filtered out everything, including the beneficial minerals, and my body ended up leeching the minerals it needed from my bones and organs. After about 9 months, I was sick and couldn’t figure out what was going on! When I did figure it out, I switched immediately, and am reversing the damage done. I was x-rayed and told I had osteopenia (beginning stage of osteoporosis), and that had I continued on this RO water, I would have had osteoporosis, too young. Very disturbing. It’s all true, so just be careful about the RO water and be sure to remineralize it and yourself. I just think too many people don’t know about this horrifying information. I found out first hand. It was NOT GOOD! I’m 71 years old & have been drinking & cooking with distilled water for over 44 years. I am healthy. I do not take any meds at all & rarely take any supplements except maybe Turmeric for muscle soreness from working in the garden. I am also vegetarian.I do not believe RO or distilled water is harmful. Correct Rollins, N. The additives in our drinking water from the street and some well water is quite harmful. Removing the impurities is the way to gol. I am 58yo and have been using osmotic filtering for the past 20 years without any bad side effects. Stay strong, live long God bless the Republic! It’s necessary to use a shower filter to remove chlorine from the shower water as well as other heavy metals contained by water. Most of the shower filters are committed to remove 90% chlorine but how can we sure about the progress? Do you have any suggestion?? it’s good to attach a vitamin c filter with chlorine filter?? I agree with you Kate, My husband and I is using KDF filters but we suppose to switch to vitamin C filter and now looking forward to switching to Berkey shower filter. I’m kinda confused now on what is the right filter. I guess I have to comment here. There’s way too much disinformation, based on several manufacturer’s marketing materials that overstate what they do. Let’s get this straight. Vitamin C , or ascorbic acid, is one of the cheapest substances to produce. If those filters worked, they would have been tested and certified by NSF decades ago, and every manufacturer would make one. Yet, according to your article, “they are only made in Korea and Japan”. There’s a specific reason behind it. Also, as you shower in an acid, this doesn’t create a good, healthy shower environment. Same for the Chlorogon (which is calcium sulfate – used in production of sulfuric acid and cement) and various similar forms of sulfates and sulfides, that’s used in Sprite shower filters . Also a very inexpensive material, conveniently made overseas. We already have enough acid rain to have more in the shower. Technically there’s no better product for hot water that KDF and carbon, or combination of thereof. The technology is not there. You make lot of claims without any evidence. You also link to a shower filter store — so you motivation maybe selling the filters you promote here. Vitamin C is widely used as a de-chlorination agent around the world. Our new post is here in Caracas, Venezuela. The water here is..well, questionable to be polite. I just filled up our tub with brown water (the hot and cold taps full on for over 15 minutes with no change in color). What would you suggest for our shower? Our goal is not perfection but to feel a bit safer and have some reasonable water pressure. We have been using the same shower now for almost two months with no problems but we think it’s time to start taking precautions. We do have a filter for our tap water in the kitchen so that’s good. We will also be getting a filter for the main sink faucet that has hot/cold. Comments and suggestions are welcome. For what it’s worth we love it here despite the political upheaval, consumable shortages, and other struggles. It’s beautiful and the weather is perfect almost every day. We already will miss it and our new post is still 22 months away. Thank you. I agree there is a lot of conflicting information about these things online and this is a very good high clarity website. Consumers are only interested in the right products and the products that work, but those are difficult to come by nowadays so we now have to do our research and make up our own mind about these things. In the old days people did not used to shower/bath every day, only the rich could afford that. But nowadays we all have bathrooms etc. and chlorine etc is needed to keep the water from going stale etc. At the same time, because of the preservatives, additives etc in our food, syntethic fibres in our clothing, and the petrochemicals in the cosmetics we are using, we are exposed to “neuro toxins” more than ever and so have to make sure we reduce this exposure, because its eroding our health. While I understand the difficulties when it comes to shower filters and water filters in general, it would be good and very useful to have shower filters, or a website that tests these, that lists and measures basically everything, not just choline or say, chloramine. Manufacturers tend to use marketing techniques that highlight whatever it is they are measuring (from fat free chocolate that is full of sugar to chlorine filters that only filter out a fraction of the chemicals we should filter), so are often misleading, because they are “selling”, as opposed to “solving the problems” consumers want to solve when buying the product, and nowadays one really needs a doctorate to understand the labels and all that . Another technique manufacturers and producers use is to take out ingredients that have developed a bad reputation and then adding other ingredients that either dont have to be disclosed on the label (by law), or are just as bad but are unknown to the public at that point in time. So technically, a cat and mouse game that is not just about “cost” but about “standards”, and the fact that these things have a cumulative effect when consumed/used by a “person” . So it would be good to have a list of these filters and a list of what they do and dont filter out and to what extent. This is the type of information consumers would pay for. Another idea is to have home kits that measure these things because water is different in different places. The reason showers/bathing is important is because the skin is our largest organ and a lot of toxins get absorbed through that, most of which are neuro toxins that gradually erode our mental health. I would again just like to thank you for running this website, it is informative. This was an interesting blog post, very complete & thorough I should say with all these comments. I searched on Amazon.com and see there is a new trends on 5-stage shower filters that are far more effective and they combined KDF, Calcium Sulfite, Activated carbon, Ceramic balls plus PP cotton layers. Can you add more content about the performance of ceramic balls in shower filters as well? I haven’t seen my problem addressed here. I live in Boston where the water is fine. My son moved to the San Diego area and when we visited him my hair became more limp and strangely soft each time I washed it. I get regular keratin treatments and have to use sulfate/sulfite free shampoos and products. After some research I discovered the water is so hard there that most homes and hotels use salt based water treatment systems. The salt stripped my $400 keratin treatment right out of my hair. My question is: when we visit again, is there a filter I can purchase which will filter out the salt products so I don’t ruin my keratin treatment again? Thank you. I have the same concern as Jackie. Does anyone know which filter is best to avoid washing out the keratin? As far as I know, a filter such as the Sprite one mentioned in the article, and a gentle shampoo such like this soapberry one might help in this situation. Hi Justin, thanks for sharing your thoughts and research on shower filters. It looks like these would be a great option for renters who are not allowed to alter plumbing in their homes. Is this the main reason you would recommend these filters over a whole-house system? Hi Justin, thanks for sharing this information about shower filters. It sounds like these would be good options for renters who cannot tamper with the plumbing in their residences. Is this the main reason you would recommend these filters over a whole-house system? Depending where you live I would also check to see if your water has fluoride in it and see if you can getfilters to remove this at the same time. Glad I found this site. Out of nowhere I suddenly broke out into a pretty nasty rash which started on my arms and neck but ended up all over my back, shoulders and legs too. It would be at its worst after showering. It was going on for at least a month and I had a list of a good half dozen possible causes I was eliminating one by one from a food allergy to simple dry skin. On the list was the chlorine filter (which I won’t name the brand here) I had just installed a week before the rash started. I’ve used filters for years with no skin reactions (maybe I got a lemon) … Long story longer, I researched stuff on filters, found this article, read other peoples’ situations in the comments and decided to buy the filters mentioned here. I installed them just how it says … put on the Sprite first to the shower pipe (I recommend a couple wrap arounds of the plumber tape just to secure it), then the Sonaki Vit-C to the Sprite. I also put on a brand new shower head. No leaks. It’s only been a week(!) and the rash is all but gone, just a few splotches left still fading away. Plus the water feels absolutely amazing. Now I must say I was taking other measures for my skin as well during this entire thing, such as limiting exposure to real hot water, cutting a minute or two of shower time, and adding Aveeno lotion after each shower on all the affected areas. I also bumped my water softener up because I was getting hard water (I had it set a touch too low for my local water results). But all those things together were still not helping much until this new filter combination was installed. So seriously….THANK YOU to the author Justin for posting this and doing the research. I can say it definitely helped me. I live in a highrise condominium. The building’s water is softened with a salt system. It is fine for laundry and dishes, but it is awful in the shower. I never feel clean when I get out, and my hair is very limp. Is there any shower head or filter that DECREASES softness??? I have not been able to find anything online that goes this way (as opposed to softening). Help!!!! I have the same issue…it appears the salt based water is causing some hair loss. Are there any shower head filters to remove the sodium out of the water ? I have not found any solution to this issue as well. Sorry, I don’t know of any water hardening shower filters. It would be easy to construct one, but I guess the demand isn’t there. I managed to find that shower filter on the Home Depot website. It doesn’t appear to harden water. People can make soft water harder by adding a water hardener to their water, but some caution is advised when using a water hardener, depending on how the water is being used. As a general rule, soft water is better for pipes and appliances, so people who have problems with laundry and showering because their water is too soft may want to think about some alternatives before using a water hardener. In the case of aquarists, who use water hardeners to reach the right chemical balance in their fish tanks, it is a very good idea to consult a guidebook which discusses all of the issues involved with water hardeners before making soft water harder. Soft water is simply water which lacks a number of dissolved minerals, most notably magnesium and calcium. The lack of dissolved minerals means that soft water is less likely to form stains and calcifications on pipes and appliances, and it also reacts differently with soaps and detergents. For example, soap tends to froth more freely in soft water, which can create a soapy residue on people or garments after washing. When people want to make soft water harder because of problems with soap, they have a couple of options. They can attach a water hardening unit to their water system, making all of the water in the house harder with the use of chemicals, or they can address the problems caused by extremely soft water where they emerge. With laundry, for example, a small amount of baking soda can be thrown in with each load to harden the water, with the side benefit of deodorizing the laundry, and less laundry soap should be used with each load. People may also want to check their laundry detergent for water softeners, as many firms add softeners in case people are laundering in hard water. In the shower, using soap products which are as pure as possible can help reduce the feeling of slickness or slime after showering in soft water, and people should also more generally use less soap because of the increased lathering. It is also possible to find water hardener units which attach to showerheads, making soft water harder as needed. Great info! Can you please provide suggestions for a shower head w/hose that also removes iron and minerals from well water? I’m having a horrific time with my blonde highlights turning orange and don’t know what kind of shower head is best. Thanks! Thank you so much for all the great info. I appreciate your helping us out. We have been considering renting a Coway water filtration machine that hooks up to the kitchen sink somehow. Is the Japanese system you mentioned a better plan? Also, for showering and bathing, is the product you mentioned bette than the Sonaki products? I haven’t ordered anything yet, so I’m so grateful you replied. I’ll look into your suggestions and hopefully we can afford them! I sure will be happy to not have to fear the shower… Not to mention brushing our teeth or washing our hands. Thank you again. I’m going to dive in and look those up. I am new to this. The water has turned my skin to dry, flakey. I look horrible. Trying to learn all this. I think I am going to try the 3 filters. First you put the pelican then the sprite thenthe vitamin C inline?? Can somebody help me. Those are 3 separate filtration systems, not 3 to be used together at the same time. In other words, when using one you can’t use any of the others. No. Only one system at a time. Not all 3 at once. If one works, then stick to it. Can anyone help? My hairdresser says that my hair is turning a shade of green and in our shower the grouting is turning a shade of blue/green. What could this be? How can I stop it?? HELP. That would be from the chlorine in your water. You need a filtration system to remove chlorine. Great article. My husband, daughter, son and I moved to Daejeon, South Korea last month from Seattle. No one drinks the water here. People have been telling us to get a showerhead filter because the water wrecks the hair and skin. Do you know what filters would work here? And about drinking water, we’ve been buying bottled, but who knows what’s in it. In Seattle our biggest concerns were the fluoride and bpa, pthalates. Here, it’s a whole other game. I’m worried about our health. Any advice you can give is greatly appreciated. My daughter is eleven months and I want to protect her. Thank you so much!!! Indeed the water situation in many places throughout the world is concerning and an even greater reason why so many people are looking to solutions for water filtration. I have two things to suggest to you, as I work exclusively in this field as a molecular water specialist and I have studied the various solutions to addressing this water toxicity issue around the world. First thing I would recommend is to definitely definitely purchase a very high-grade water filter and ionizer (I highly recommend this Japanese water ionizer for quality and health benefits: http://www.waterkangenwater.com/?c=products#c=products-sd501p5) that attaches to your kitchen sink and produces pure, alkaline, anti-oxidant living water for you. This way, you do not have to ever buy bottled water again and you know that the water you are drinking has been ultra filtered and is the healthiest water you can be drinking. I personally know many individuals in parts of the world who have difficult access to clean water who are using the above-mentioned water ionizer, which is made with high grade quality parts and is built to be able to produce unlimited clean water for an entire village without breaking down! Secondly, we know that the water we bathe in is of equal importance when it comes to water toxicity. This is because even 5 minutes in a shower can cause our bodies to absorb a high amount of toxics from water, which ends up in our system and wreaks havoc (let alone the cosmetic impacts it has on our skin and hair, drying them out and oxidizing our cells). When it comes to shower filters, I recommend investing in a very high-grade, ionized shower filter that will not only pull chemicals out of your water, but also add negative ions and minerals which will help you remineralize and reduce inflammation both inside the body and out. Enagic makes a shower filter called ANESPA (http://www.waterkangenwater.com/?c=products#c=products-anespa) which first removes harmful chemicals, chlorine, trihalomethanes, phenols, sediment, odor, taste, and organic waste, through the use of a multistage activated carbon filter containing antibacterial granular activated carbon and Calcium Sulfite. The craftsmanship of Enagic’s products are second to none, guaranteed safe, and all completely manufactured in Japan and built to last a lifetime… the issue with many filters on the market, both for drinking and bathing, is that they are made with cheap materials that themselves produce toxicity which leaches into the water. I hope this was helpful for you and I wish you and your family health! What filter is recommended in USA , Ohio to reduce iron in shower water? After 20 yrs it’s been suggested that my autoimmune inflammatory illnesses may actually be too much iron in water causing liver to be overloaded therefore storing toxins in tissues causing the inflammatory response. We have a water softener, inline filter system to faucet and fridge. Appreciate any help ! You’re in South Korea, LOTTE is a huge brand (can look into Ingredients on their website); the brand has 5/6 Stars hotels, food, drinks, etc. I saw Kpop stars drinking Perrier/San Pellegrino, Volcanic Bottled Water (Hawaii) that is safe, the best is to browse & wander grocery stores…or go on a local website find out more info. I moved to Hong Kong few years back, the local store carry “Zywiec Zdrój ” and San Pellegrino. Asia has the newest technology, latest beauty/skin care products, most innovative creator in projects. Instead of buying bottled water, desperately searching for water filter systems, you can always buy “Binchotan Charcoal” or Bamboo Charcoal as your water filter atm. This comment is based on a circular argument that “bottled water is good” and while it is better than tap water, there are problems with 1. the packaging 2. transport (often called food miles). On a practical level it means that bottled water creates problems in the environment/nature and is therefore eroding that. So overall, causing the same problems its attempting to resolve. “Robbing Peter to pay Paul”. And you might think that it does not matter as long as you get the water you want as an individual, but the bigger picture also matters. So it is important to look at other options when accessing/making clean drinking water. Only looking at ourselves/our interest and what is best for us, with total disregard to the environment we live in is a short termist policy that, overall, will come back bite us on the arse sooner than we think. I tried to order a Sonaki filter from Amazon but they wont ship them to Canada. Any suggestions? Have you tried Amazon.Ca or Sonaki.Com? Why are you telling me to go to Sonaki.com? I HAVE their filter and it doesn’t take the chlorine out of warm or hot water, which is my question, and they don’t answer me because I feel they don’t have an answer. Is there ANY filter that will take the chlorine out of warm/hot water other than ones for thousands of dollars which are unaffordable? Sonaki is my best recommendation. I don’t know of any better option. Let me know if you find one. I’m looking for one myself (Australia) and came across this. From what I’ve read it takes out salt as well as lots of other nasties. PureSpa Water Filter which fits over your shower head. Have you tried the “T3 Source Showerhead” from Sephora or Nordstrom? This product is always soldout & the price remains the same from 3yrs ago. Berkey has a shower filter, their water filter is amazing and the company has awesome customer service. I was tempted to get the Sonaki Vitamin C, did some research on company 2 yrs ago, changed my mind. Does anyone know or heard of “Kenrico Ion Showerhead” made in Japan? If & when I buy a condo, this will be a New Investment. I’ve had two shower filters not, the Sonaki being the second one. Neither take chlorine out of hot water. I haven’t received a reply from the vendor yet. I wonder why? Cool water shows no chlorine or chloramines, but if I take a shower at the normal hot temperature I like, it’s loaded with them. Very disappointing. Is there ANY shower head that will remove it while using hot water? Hi! Wonderful information here!! Thank You!! I have been struggling with bad skin and hair every since we moved to a different county. I have tried everything to fix the problem but nothing could help. I started to fig out that it was/is the water, we have hard water and I am in urgent need of a good filter that can make the water more soft. My question is, after reading this post, I feel that there are so many different filters to choose from. Could you pretty please help me choose? Which filter would be best to remove hard water? Thanks for the feedback. The Sprite filter would be the one to use with hard water. Does anyone have an opinion on the Ava filter? It’s supposed to filter chlorine and chloramine. Are these claims true? I have not heard about that filter however I experience a most amazing shower with the OMICA filter that I purchased from showerfilterstore.com. It not only filters chlorine and chloramine but also reduces the amount of fluoride in my water; most unfortunately nearly all water supplies now add fluoride to the water which I think is not only hazardous to our health but also is a big windfall for polluting companies that use fluoride, such as the fertilizer industry….It provides them with a place to make a profit instead of PAYING to get rid of their waste product. Does this work in hot water? I just got the HotelSpa Fusion Vitamin C handheld showerhead. I like that you can refill the Vitamin C powder yourself rather than having to purchase new cartridges. (In addition, theoretically, then you can choose whether to use ascorbic acid vs. sodium ascorbate powder, which I read created less acidic water for fish; might also be good for humans…) Hoping it works as well as the recommended brand. We have chloramine in our water (SF), and I was thinking of also adding a carbon filter. Would it be recommended to put the carbon filter inline before the Vitamin C filter? Just curious as to opinions. Thanks! That sounds like a good system (i.e. doing your own refilling of the Vitamin C). I will have to test that filter. Thanks. I recommend putting the carbon filter before the Vitamin C so that it doesn’t remove the ascorbic acid. Yes, attaching two filters is straightforward — you just attach the second filter to the threaded end of the first filter. Very helpful article, thanks for the information and all the useful posts. I have a few questions that, after a weekend of research, have not been able to get answers for. Maybe you can help? 1. Several references have been made to the amount of time the water needs to be in contact with the Vitamin C in order to fully neutralize the chlorine/chloramine, suggesting that the shower water rushing through the filter may not be enough time to do the job. The SFPUC article referenced doesn’t appear to mention time of contact. 2. Do you know if there have been any independent/third party tests to verify the results of the Sonaki/UBS vitamin C filter? It’s all well and good for the manufacturer to make claims but I have not been able to find any independent data. 3. Someone on this blog mentioned that KDF filters altered chlorine into something potentially even more harmful than chlorine. If that is the case it would seem to me that a conventional filter preceded by the vitamin C filter would be the way to go? 4. Has anyone tried the Sonaki SUF-300VTX VitaMax Vitamin C Combo Universal Inline Shower Filter? That seems like the way to go – if it works. But there’s not much mention of it anywhere here, or elsewhere. You’ve identified the limits of my research. I cannot get a definitive answer in regards to the true effectiveness of Vitamin C with fast moving water. A few years ago someone tested the filters at home and said they removed 95-99% of the chloramines in his shower water. This is basically what the manufacturers claim. However, other sources on the internet question the true effectiveness of these filters. I want to run independent lab tests, but I have not yet done so. I am using the Combo filter, and it seems to be working fine. It is very similar to the regular VitaMax filter. So I bought this for my husband who had to have it. I don’t understand how Vit C can filter chlorine out of hot water when Vit C is destroyed by heat? It actually takes more heat than the average shower temperature and more time than the quick reaction vitamin c has to neutralize chlorine. According to a study by the US National Library Of Medicine and National Institute of Health they tested degradation of Vitamin C in 15 min periods of exposure to heat in ranges of 158-194 degrees F and found only a percentage of vitamin c was destroyed. The average temperature of a shower is 100 degrees. So the vitamin c in the filters remains and reacts with chlorine to neutralize 99.9% of chlorine. I don’t trust any one filter to do the job properly. On my shower I have attached the Vitamin C inline filter followed by the Sprite and then finally a Pelican unit. Water pressure is still awesome and water feels really nice. I am also going to get installed a whole house water filter so that the waters chlorine and chloramines are mostly taken care of while it is still cold because apart from the vitamin C filter, the other 2’s effectiveness is reduced in warm-hot water. And I’m still not totally convinced the Vitamin Cs filter is 100% as the amount of vitamin C and contact time is a fraction of a second (and water taking the easiest path of resistance, many of it may miss contact with vitamin C all together). I am curious – is there a particular reason why you put the vitamin C filter first, before the other two filters? I am considering a similar configuration only difference being putting a KDF filter first and then having the filtered water flow through the Vitamin C filter. Thoughts? I’d recommend attaching the Vitamin C filter last because it puts Vitamin C into the water which is said to be beneficial to your skin. If you put it before the other filters, the ascorbic acid might be filtered out. This is great info; thanks for sharing. Do you happen to know if the Vitamin C filters also balance Ph levels? Your Neutra-C chlorine neutralizing filter works by a simple chemical process, in which the same Vitamin C (ascorbic acid) that is so essential to our good health is used to interact with the chlorine and chloramine present in your municipal water supply. This chemical reaction essentially leaves the pH (strength of an acid) relatively unchanged from the mild ascorbic acid (Vitamin C) solution in your Neutra-C filter to another very mild acidic solution which neutralizes the free chlorine rendering it harmless to your skin, hair and lungs. The mantle of our skin and the cuticle of our hair are strongest, healthiest and most lustrous when it is exposed to mildly acidic solutions. The range of the pH scale (0 to 14) is a logarithmic scale measuring from very strong acid solutions (1) to very strong alkali solutions (14). Sebum, the natural oil of our hair, has a pH of 5 which is mildly acidic; most good (pH balanced) shampoos have a pH of between 5 and 7. The pH of the Neutra-C treated water is a very weak acidic solution containing the neutralized (and now harmless) chlorine and is within the same pH range as the Sebum of our hair and shampoo. Thanks, I appreciate getting your opinion on that. Are there any vitamin c shower filters made of sturdier materials than the Sonaki? I noticed a bunch of reviews on Amazon saying that the plastic cracks very easily. Not really – there’s the Neutra C filters, but they have a very similar plastic housing. Vitashower is even less reliable. I’ve actually found the newer Sonaki filters to have reasonably build quality. MASTER WHAT DO YOU THINK OF AQUASANA SHOWER FILTER AND CHROME WAND WHICH CLAIM TO REMOVE 90 % OF CHLORINE AND WITH HIGH PH LEVEL AND NSF APPROVE. DO YOU ALL SHOWER FILTER SHOULD HAVE THE APPROVAL OF NSF TO GUARANTEE SAFETY? The problem is that most filters do not remove chloramines. I have recently done alot of research on water filters and decided to buy the sonaki inline filter. My concern with this though is that there are claims that absorbic acid is acidic to the skin, and the byproduct of the filter once chlorine has been nutrilised is hydrochloric acid. Could this be just as un healthy to the user? Also is it possible to use the sonaki with a kdf filter attatched? – I read Vitamin C filtration creates hydrochloric acid. Is this true, and should I be concernced? We have had many inquries about this issue and we are sure you are seeing the same sites that others have commented on. These sites are pushing other shower filter products and are using somewhat of a smear campaign to turn people away from the Vitamin C filters, and on to their more traditional charcoal and KDF filters. All is fair in business I guess, but these claims are exagerrated, confusing, and the overall gist of the claims are wrong. Yes, Vitamin C filters create a bi-product of hydrochloric acid, but in a VERY VERY VERY small amount. Hydrochloric acid needs to be extremely concentrated to have any sort of impact. Hydrochloric acid occurs NATURALLY inside our bodies as it is. No matter which filter type you use, there is some sort of biproduct from the filter left in the water…the shower filter sellers just utilize this scary sounding bi-product to scare consumers away from their competition. Our filters speak for themselves. If you notice any detrimental side effect that you believe is being caused by our filters, then please just send it back within the alotted 60 days for a full refund. We only want ecstactic customers, so we are willing to come out of pocket if you are in any way unhappy. Hello , I was curious as to whether you have tested the Vitapur and Vitamax? We are having terrible hair and skin issues and my daughter has eczema – all since we moved into our current home. These new filters seem like they would be best because we have hard water and chloramine. Please post an update! Thanks so much for this helpful site. I haven’t run lab tests, but the filter is working in my shower. For what you want, this filter is probably your best bet. I live in Miami where the water is considered hard. Hard water is water that has high mineral content (in contrast with “soft water”). Hard water is formed when water percolates through deposits of limestone and chalk which are largely made up of calcium and magnesium carbonates. My hair is brittle and breaks often due to this. What filter do you recommend? Shower filters provide poor filtration in general, but for hard water your best choice is the Sprite filter or the Vitamax dual filter. A whole house filter would be your better choice. Chlorine shouldn’t be present in well water. You could try using a basic shower filter (not the Vitamin C one) to remove some of the metal in the water. What about the ProPur? They do not specify the technology but posts a lab report indicating it reduces 200 different chemicals. Shower filters can only provide a modest amount of real filtration (see the article for more information). It is best just to try to remove chlorine and some particulate matter. Is there any vitamin shower filter that you recommend besides the sonakai shower inline. I found that the part that you screw the showerhead on to is very short for many showheads and will strip very easily because of the material. And because it is one piece it is no longer usable when this happens. I was very careful with mine but it stripped after 3 months and only took the showerhead off a couple of times. I’d get this new combination filter, it acts as a replacement both filters. I found one called Neutra-C that attaches to the part between the hose and handle of a hand held massage shower head. In terms of vitamin C only filters, I just found HotelSpa Fusion. It boasts a lifetime warranty when purchased from an authorized dealer..
Hey! Thanks for the great information. I live in the country and our water is from a well. They grow conventional crops on/near our property so we are more concerned with pesticides, etc., than chlorine or fluoride. Which shower filter do you recommend for this situation? what is your opinion on the Enviro Products Shower Filter? Hello, thanks for taking the time writing this article. We have kids and wanted to ask the what’s the amount of vitamin c that this filter goes into the water? I know it depends how much water goes thru it but is the amount safe for babies? Vitamin C is very safe, especially at the levels present in the shower water after filtration. Please can you advise which is the best filter for the whole house or shower in dubai? The Revita Stream is amazing! Thanks. Which brand name of whole house filter is best quality for price? Definitely want to remove chlorine and fluoride. Thanks. Now product wise, which is the best brand of whole house filter? And do these filters also remove the beneficial minerals? Please, in a nut shell, what is the best method/product to obtain the safest water? Whole house filter vs. faucet dispensers for quality and cost? *Filter the bad stuff but leave the good minerals, or else info on need to replace minerals as diet or supplemental. I do not see any dietary information in earlier comments. Whole house filters are always preferable if water quality is your highest priority. Filtration is beset done slowly. If you filter at the faucet or showerhead, the water is generally moving too fast or it’s too hot for complete filtration. Ive notice you updated your recommendation to the vitamax combo and was wondering what you would think is better, that or their vitapur combo. where the vitamax comes with the carbomax that only removes odor and chlorine with anti scale and anti bacteria and the vita pure combo comes with sedimax filter which removes rust and impurities from the water. Im trying to figure out what would be better for me as our water is treated with Chloramine. I can’t tell until I’ve tested the Vitamax Combo. Other sediment filters may be better overall, but realistically even the best sediment filter won’t perform very well in the heat and velocity of shower water. I’m recommending it because it’s a sediment filter combined with a chloramine removal unit (the Vitamin C or ascorbic acid), which is an optimal combination. I should be receiving and testing the quality of the filters this week. Have you tested the vitamax combo? And which whole house filtration is the best in your opinion? You are fine with the hand-held Sonaki and a filter. Vitapure has released a new filter that has both Vitamin C and a sediment filter. You can find it on this page and this one (not sure what the difference is). They are sending me some filters to test, but I haven’t received them yet.You can find more information on their website http://vitaminshower.com/. Contrary to the information posted here, I can’t get the Sonaki vitamin-C filter to thread onto the Sprite filter. It will only go 1 or two threads and being plastic forcing with a wrench does not seem an option. I used the teflon tape. The system works, but creates a strong leak where the two filters do not fit properly and while the water flow seems fine, I can’t live with the leak. Any solution? Vitamin C filters are a second method. That sounds good. But I’ve heard that the speed and temperature of the shower water does not allow adequate filtration via charcoal. Contrary to SFPUC’s website (Q 18), the NSF DOES NOT certify showerhead filters for chloramine. It only certifies cold-water, low-flow filters for drinking water. Thanks so much for your insight. Living in SF for more than 15 years I have concluded that the city is run by a corrupt, incompetent mafia. plus the Vitamin C then the shower head in combination. Is there also a special plumbing attachment one must purchase. We like a good flow of water not a slow one. What to do about that? Do not care for hand held heads. Thank you for your kind consideration in this matter. I husband suffers from minor skin cancer and I do believe this could truly help. You can direct attach the Sprite filter to the shower stem, and then attach the Vitamin C to the Sprite. You only need a standard wrench and teflon tape to do this (the teflon tape is usually provided with the filters). This will reduce the pressure of the water. If this is a problem, the only solution is use a whole house filter. Using a low flow showerhead especially designed for low water pressure may help too. What about the Ava Water Filter the shower filter claims 99% removal of chlorine, chloramines, fluoride and other chemicals found in our shower water. Whats your opinion on this filter? Do they have NSF certification for that? I wonder if a Pelican filter combined with this one, that is, the Vit C filter, would do the trick. Further thinking into this, I guess the idea is to combine a KDF filter and Vitamin C filter. Well there seems to be no product with both filters, we are using two filters. Then, I just need to find a good shower head with a KDF filter inside and add the vitamin C filter. Right?! That sounds like reasonable solution — hopefully that would improve the water pressure. Thank you so much for the greatly helpful posting. Can I get both the Vitamin C filter (you recommended) and the Sprite one? I think your posting is saying yes to that question. Then the order will be vitamin C filter then Sprite one. Then I need to get a shower head attached at the end. Is it how you did in your picture. I just don’t see the shower head attached in your picture and I wonder whether two filters and the shower head at the end can hold altogether. In addition, I wonder which Sprite model is in your picture. It is not this one http://www.amazon.com/Sprite-HO2-WH-Output-Shower-Filter/dp/B0064I246A/ref=sr_1_5?s=hi&ie=UTF8&qid=1450804114&sr=1-5&keywords=sprite, right? To make matters simpler, a hand held shower head is not really necessary, although nicer. If I want to use a *hand-held* shower head and I’d like to do the two filter idea… what is the best recommendation? 2) I was also considering a new showerhead with with the two filters above? do you have a hand-held recommendation that would work well with the two filters? I forgot that there was a in-line Sprite filter, so your set-up would certainly work. I just bought a low-flow hand-held shower head, it’s a good showerhead but it reduced the shower a little. I haven’t had experience with the other hand-held showerheads you mentioned. I said that only the Vitamin C shower filters that remove chloramines successfully (due to the heat and the speed of the water). There are countertop filters that can remove it (see my Best Water Filters article for details). Thank you for your reply. The Sprite filter is the one that will not “open” at the seam to flip the filter inside. I might just need someone with more strength. No tool I have has been successful. I do, however have another issue. I convinced a friend to get the combo of filters too and now she wants to install but she has handhelds in her shower (not the stationary/ overhead showerhead). Can we make the Vita Fresh like and Sprite filters work for that situation? Sorry for the delay. You can get Vita Fresh filters as handheld and in-line, but not the Sprite. So the best you could do is get an inline Vita Fresh in that situation. I purchased both the Sprite HOB-CM Brass Shower Filter and the UBS Vita Fresh Shower Filter. I couldn’t use them together because the Vita Fresh (made of plastic) would not properly thread onto the Sprite Brass filter. Since I became worried about stripping the threads on the Vita Fresh filter (as that’s what was happening), I ended up just using the Vita Fresh in my shower. So far so good but I really was hoping to use them together. I’m sorry you are having problems…isn’t the attachment part of the Vita Fresh made of metal? 2 questions: Amazon is out of stock & does not know when/if item will be back in stock for the Sprite filter- any other suggestions or resources to purchase? Also, I am trying to “reverse” the sprite filter I have- good for 6 mos, then reverse it for another 6 mos– how do you do that? Cannot just flip the filter bc the ends are different & will not attach to wall & vitamin C filter correctly if just flipped. Does it “unscrew” from the middle somehow? or? Thank you. I’m so confused by all of this 🙁 We just moved into a house with a well. The Landlord supplies the water softener via a salt system. But the water is so gross! My two small children’s bath water is brown and barely transparent. It’s ruining our clothes…and forget about drinking it. I do have a Berkey gravity filter	but I don’t trust it with the nasty well water. The problem is I’d buy an expensive whole house filter because we’re building a house and I would take it with me but we will be back on city water then	so I don’t think I’ll be filtering the same contaminants. What can I put on the shower	bath tub	and kitchen sink to give us clean showers and drinking water. Is there a filter I can put on the washing machine? I don’t want to spend a fortune on something I only need for 6 months to a year but I do value clean water. While I’m at it best whole house system for city water? Something that doesn’t strip valuable minerals but does strip the bad stuff	including fluoride? I can’t believe it’s so difficult to get a clean glass of water :-/ THANK YOU! If you don’t want to do a whole house filter, you’ll have to install a filter at each outlet. For the bath, you can use a bath filter (see my post), but you’ll have to replace it fairly often if you have a lot of sediment in the water. For drinking, the Berkey is actually designed for this kind of water. It is often used in third-countries to filter questionable water. For the shower, you can use the Sprite or perhaps another filter that is better at removing particulates (I can’t think of any off the top of my head). There are filters available for washing machines — they are called “in-line filters”. See this one, for example. For an whole house filter, see the vendor I recommend in this article. I have a several licenses in water treatment. There are only TWO true water softeners that install in the shower. All the others claim to remove hardness when they only remove chlorine. Watersticks.com and showersoftener.com are the only two companies I’ve found that have a product for removing hardness in the shower/bath. Can i buy one vitamin c shower filter in Dubai? Somebody on eBay will probably ship it internationally. Good luck. Is the filtration provided by any of those shower filter equivalent to the stand alone filters that we can install in the kitchen sink? I am not taking about the ones that are attached to the faucet, but the ones that are installed under the sink and have a dedicated faucet. If so, can we say it is safe to drink the water from a shower filter? I’ve done water filtration for the government. There are only two products I’ve seen that ACTUALLY remove hardness (dissolved minerals) in a shower filter form. The others are too small to make a difference or don’t remove hardness at all. Deceptive marketing. BEWARE. Watersticks and showersoftener.com are the only two makers I am aware of that can remove hardness. Don’t waste your money on anything else. Period. I recently moved to Buffalo, NY and after being here for 2 weeks, my face has broken out with a lot of ACNE that I usually never get. My face and hair seem more dry too! What Filter do you recommend to help with skin problems. I assume the water is irritating it. Thanks for your help! Beyond the shower filters recommended here, glycerin is a heavy duty moisturizer. You can mix it with aloe. But, the photo of your set up seems to show the Vitamin C filter followed by the Sprite filter? Unless I just do not see the Sprite filter at all in the photo and what I am identifying as the Sprite filter is actually a white showerhead? Thanks for the clarification. That photo was taken a while ago — I have older Culligan filter in that photo, followed by the Sonaki. I would like to know what that piece of plastic is that is attached to the VitaC filter and the pipe on the wall. Thank you. It’s the part of the filter that contains the Vitamin C.
My name is Kerri. In January we moved to the country in Queensland. Hence, we have rainwater. I have always suffered with eczema all of my life but, since using rainwater I can not keep enough creams and such in my skin. My skin is splitting even after using eczema creams and cortisone creams. I’m nearly insane with the itching. What can we do to treat the shower water so that I’m not suffering this extra burden with my eczema. Thanks for your advice! We installed the Sprite High-Output Solid Brass universal filter with the Oxygenics Skincare shower head. The resulting effect on our municipal water was amazing, our skin and hair never looked and felt better! However, the set up in our narrow shower was awkward; the fixed shower head sprayed right at the wall of the shower and it was hard to get under it. So we switched to a rain type shower head/extension made by Sprite (Shower Up Single Extension) with the handheld filter cartridges. In this second setup our results have not been nearly as good (hair flatter, drier, more soap residue again, water feels harsher). Did the Oxygenics shower head in the first setup significantly improve the Sprite filter performance (is oxygenated water better for skin/hair)? Or, is the Sprite High-Output filter cartridge far superior to their handheld filter cartridge? We have great water pressure in our house so did not feel the need for an Oxygenics shower head on our second setup (though we’re open to it for water conservation benefits). The rain/pan shower head made by Sprite feels great. What could account for the change in filter performance/outcome? Hi: I am wondering about how much your initial (Sprite High Output + Oxygenics Skincare) set up cost? Were you able to install by yourself or did you need a handyman/plumber? It’s really easy to install, you just have to use a wrench to tighten things up. I can barely hang picture in my house but I can install these filters. Will this zen fresh work like the sonaki? It seems like it — I haven’t tested it. Will the vitamin C filter eliminate hypochlorite? I live in Seminole County in Florida and according to their website that’s what they use instead of chlorine or chloramine. Can I add another component to filter out fluoride.? That’s one of my main concerns. What do you recommend? As I am not the only person that uses my shower I would like to know if constant hot showers would damage any of the water filters mentioned? Hot water does reduce the effectiveness of most shower filters. The Vitamin C filters are an exception to this. I don’t think heat will damages the filter itself. What is the best filter for well water. I have a filtration system for iron and another for minerals. Wife and go daughter havin trouble with skin and hair drying out. Need the BEST fix! For well water, a general filter like the Sprite filter is your best choice. However since you say that you are already filtering the water, it may only have a marginal effect. I have well water very hard with lots of minerals. I have put a filtration system on my well along with an iron filter and softener. My wife has a problem with the dryness and discoloration on her hair and dryness on my grand daughters hair. What kind of shower head filter will help with the discoloration and dryness ?? Cost is not a factor if it will help!!!! I am also having the same problems with well water and we also have a top of the line home system. I have the sprite filter now but need more protection from iron. Invite everyone to check out the new aromatherapy / vitamin c shower head called Aroma Sense by Opus International. Ummm……apparently you don’t know that chloramines will viciously destroy a chlorine shower filter within a few days of use. If you must use the sprite, put it after the chlorine filter. Don’t believe me? Call and talk to a chemical engineering professor. Could you provide some kind of reference for your rudely worded claim. I have contacted Sonaki about filtering out chloramine and I was told they only filter free chlorine, NOT chloramine. So disappointing that cities are adding chloramine and not free chlorine since there is really no way to filter out chloramine unless you have a full house filter. I rent so that really makes it tough to install a whole house filter. Sonaki shower filters have been tested and proven to fully neutralize 99.9% of both chlorine and chloramines found in public tap water. The filters are made with 100% natural, food grade Vitamin C, an essential vitamin for humans and animals alike. Vitamin C is known to boost the immune system, and improve your skin and hair. It is also the safest and least toxic of all known de-chlorination agents. Either they need to change their website, or the representative you talked to was misinformed. Hi, this has been very informative and helpful. Is there any issue you see with installing the Vit-C filter first, ahead of a Sprite filter/shower head combo? Or just on its own without the Sprite? The reason for asking the later question is that I’ve had a Sprite filter in the combo filter/shower head for a while and did not notice much difference (the filter has yet to turn black after extended use). I live in San Francisco and did not realize till now that they add chloramine not chlorine to the water supply. Based on what I’ve read here, I’m wondering how effective the Sprite filter is in this situation, if the Vit-C filter will remove the chloramine and the Sprite filter is only technically filtering dirt and sediment. Thoughts? If you install the Vitamin C filter before the Sprite, you won’t get the slight benefit of having Vitamin C in your water. Of course, I’m assuming that the Sprite filter will filter out the Vitamin C.
The Sprite filter will not remove chloramines — it removes sediment and perhaps a modest amount of other contaminants. Does the Sonakai filter ALSO filter sediments? I think I am getting a lot of rust residue in my shower but I also like the idea of filtering chloramines. For sediment you’d want the Sprite filter. So does the vitamin C filter only filter out chlorine and chloramine? I would really like to get everything filtered out before it touches my body…chlorine, chloramine, heavy metals, etc. Thanks for all the great info. I have well water and have struggled lately with its effects on my hair. After reading your recommendations I purchased the Sonaki vitamin C In-Line Filter and I love it. After using for only a week I can tell a big difference in my hair. Not as soft as when I’ve showered at places that use a water softener but still happy with the results. Seriously going to have to consider getting the Sprite to go with it. I’m glad it worked out for you. Thanks for the feedback. FANTASTIC POST. THANK YOU SO MUCH FOR doing it. I will install the Sprite followed by a Vit-C unit. what is your final recommendation for the Vitamin C unit (regardless of the price)? I’ve only tested (1) and (2). Personally, I prefer the USB Inc Vita-Fresh filter, because the filter can be installed with your existing showerhead. Hi. Can you recommend a shower filter for WELL WATER? We have a softner in place but would like a point of use filter to remove any undesirables the water picks up in the home’s pipes. I know there is no issues with chlorine or chloramine but though you might know. Thanks in advance. The Sprite shower filter would work for well water. You could also use an inexpensive filter from Culligan. Thank you for the excellent article! I have tried a Sprite with no noticeable results. I had my water tested and there are chloroform and other THMM, which I know Vitamin C won’t help with. My water system doesn’t use chlorine, but chloramine. I also think I have hard water. Since the KDF alone (in the Sprite) didn’t work for me, I am considering an Aquasana, with both KDF and carbon, or a WaterChef with something called thermal guard catalytic carbon. Do you know if either of these carbon options might be effective? Thank you. Thanks for the feedback. You could try either of the shower filters you mention. Just remember that filtration will be moderate at best. I think you are referring to the Sprite filter in photo. The other white object is a low-flow showerhead. My hair stylist recommended I get a shower head filter b/c my daughter’s hair is fine and soft and she thinks our water is damaging it (as I’ve tried every hair care product under the sun and nothing has really helped). We have town water, so I talked with the Water Dept. and I was told we have “soft” water. I always thought we had “hard” water b/c we get a pink stain around my dog’s water bowl and in the shower and toilet. About a year ago we installed an Aqua-Pure water filter in the kitchen and the dog’s bowl hasn’t turned pink since. However, I’m not sure what’s being filtered out to clear this up. I know chlorine is not the problem. Do you have any idea what kind of shower head filter I should buy? The best you could do at the showerhead is probably a Sprite filter, since it attempts to filter out a wide range of contaminants, but remember that filtering at the showerhead only “adequate” at best. A whole house filter is best choice for comprehensive filtration. Thank you for your reply! I’ve looked into the whole house filtration systems and they’re pretty expensive. This is not our last house, so I don’t want to put that kind of money into it at this point. I’ll try the shower head filter and see if it helps to start. Thanks, again!! We are manufacturing the RO water purifier, so we are looking for a vitamin cartridge which could be introduced in our product and the chlorine reduction shower cartridge, if such kind of materials are available in your end point. Please send us the full specification with all details and quotation for the same. The Sprite Shower Filter is not currently available. Is there a different filter that you would recommend for me to use along with the UBS INC Luxury Vita-Fresh Shower Filter (btw, why do you call it Sonaki? Has it been rebranded or renamed since last it was a Sonaki?). The Sprite filter is available on Amazon here. Yes, the “USB Inc” filter was previously called the Sonaki. I believe that’s still the company name. I always love your annual shower filter reviews Justin, thank you. Just a quick update – we are getting closer to getting a new and improved inline vitamin c filter. We will have an update at Vitamin C shower filters as soon as I have something solid. I received a test product recently, so there is progress. What is your take on the omica shower filter. I have read mixed reviews. Some people say that this shower filter removed Chlorine, Fluoride. It looks reasonable. But remember, you can only really remove chlorine from shower water at best, because the water is flowing so fast, and the water is usually warm, which make filtering difficult. Wow, I didn’t know my body actually absorbs chlorine while I am in the shower. I am thinking about buying a new shower head, and, now, I am going to consider buying a filter as well. So, with a Vitamin C filter, does the filter dispense Vitamin C or just absorb the contaminants? It adds ascorbic acid (Vitamin C) to the water, which neutralizes the chloramines. Chloramine is an OXIDIZER. Ammonia and Chlorine. The only thing that will take chloramines out of the water is a Special Filter with a UV LIGHT attached to the building before the hot water heater is attached. Only a UV LIGHT will separate the chlorine from the ammonia. I doubt Vitamin C will do anything but raise the stock on who ever sells it and the companies that make the filters. The NSF is not a government agency. They are businessmen. The government uses them. So they are recognized for that reason. I can tell you the last time I looked it said NO FILTER Can take Chloramine out of the water. If a filter is not certified by the NSF then it may not do anything at all or maybe it will. It’s such an extreme expenses and undertaking that many companies take short cuts to 3rd parties. The same process that allows the Poison medicines on the market today. A filter, any filter may or may not help remove some of the Chloramine ODOR or Chlorine ODOR. But not the dangerous di and trichloramine that occur in HOT WATER. The Hot Water fumes disperse in the air and can cause your mucosa lining to dry out, that leaves it open to infection in your respiratory and intestinal systems as well as skin rashes. Do not believe what the water companies say. They spent millions of dollars to use chloramine because it is cheap and fast. A child died in Louisiana from a Brain eating amoeba due to Chloramine use. Children in Charlottesville, VA had skyrocket amounts of lead in their blood due to Chloramine. There have been very few studies done by anyone or the EPA. . They do not know how it affects human skin, respiratory and intestinal systems, animals or our environment. They do not even know if it causes cancer. Plus we had a population explosion and they most likely use much more. There is NO REGULATION by EPA on how much can be used so no one knows,. Especially the VIT C shower head company. Most of the public and doctors do not know it is in the water and did not know it in the 1900s. And doctors do not know how to treat it now because of that. So yes, no one complained. There are residual symptoms that mimic other diseases. I suggest you go to these websites and educate yourself. The women on the sites above have backgrounds in Chemistry, Attorneys and worked with Bob Bowcock who is the Chief Environmental inspector for Erin Brockovich. Suggestions; get the real facts at these two sites; Make a difference; email your political leaders! I would to correct my earlier statement. Nothing will take chloramine out of the water. Not even UV LIGHT. According to Chloramine.org: A filtration company did a test using Reverse Osmosis. It showed no chloramine in the water. The water was put through a second filter and the Chloramine reappeared. That means the ions can reconnect. The only real solution is to stop using Chloramine. Chloramine has to sit on pathogens longer than Chlorine to kill them. The End Chloramine Working Group (ECWG) responded to a government study by the Center for Disease Control (CDC) showing a marked rise in life-threatening childhood respiratory diseases and skin conditions. “The May 3, 2013 NBC News article “Allergies on the rise in US kids government study finds” describes symptoms consistent with those collected and reported by the ECWG for the last decade. The symptoms that are on rise in the CDC study are the same symptoms that are increasing around the country as Chloramine is being used more and more. Water system operators are choosing the least expensive option for meeting the EPA regulation. Rather than clean up the source of the water with improved filtration. I was just wondering about the effectiveness of using both filters that you’ve mentioned in the article plus a ceramic filter? A ceramic filter is supposed to add beneficial minerals and further reduce the harmful ones. What do you think about this claim? I recently bought the Vitamin C filter suggested above because I noticed my hair was weighed down and my skin was dry. I live in San Francisco and I’m guessing it’s the PH problem you sited. The Vitamin C filter hasn’t made a difference in my skin or hair – it’s still the same as without the filter. Is there anything I can combine with the filter or one specifically for SF water? Thanks so much! I am so glad I found this article. Have you every heard of the minerals & chlorine in the water causing hair loss? All other things have been ruled out (thyroid, medication, stress etc) and now my 14 yr old daughter’s hair is shedding abnormally too! So I have been trying to do some research on this subject. A filter(s) will be my next step! Wondering if it is necessary to have my water tested first, if so are the kits to do this at home or do I have it sent out somewhere? To cause hair loss, I would think it would have to be an extreme reaction to the water to cause hair loss, or a very contaminated water source. If you want to check your water, the least expensive option is usually to have your city/town do the test. In regards to home kits, I’ve found that they are fairly tedious to use, and they only test for the basic contaminants. Unforunately, filters on shower head have limited capabilities because the water is usually hot and running fast. You’re best bet is get a Sprite HOB-CM Brass Shower Filter. This filter is NSF Certified to standard #177 for shower filtration. Hello Kaylyn, do you live in Seminole County FL? I think you described the method the use here? Di d you find out how to filter out the hypochlorite and flouride? I doubt that any shower filter can remove hypochlorite or flouride. You may get some reduction using the Sprite filter listed in the article. See my article on Filters For Fluoride Removal. So we’ve been scammed. This is why my shower in the Caribbean felt better when I lived there and my hair and skin were better – we caught the water in our cistern from the rain and it was untreated. If I may use more of your extensive research: how do you compare the Sonaki you use to the Aroma Sense or the UBS Vita Fresh? The Aroma Sense seems to have better reviews in Amazon. I agree, Aroma Sense could be a better product than Sonaki, based on the Amazon reviews. Someone people do allege that the reviews are fake though. I didn’t include them in the review, because when I was researching the company about six months ago, I couldn’t find any definite answers about their products. Great article. I was wondering if your heard of or tested Pure Earth technologies. They have a vitamin C based water filter. They are a company out of Georgia and have been around since the 80’s, but don’t know about the effectiveness. It looks like they are selling Vitashower products, which are good filters, expect the company’s quality control is a bit lacking. They are essential the same filters that I’m listed here. Hello Justin. Why do you recommend for “optimal filteration” the sonaki and the sprite? Well, I thought I answered that in the article. But the short answer is that the Sonaki way to effectively remove chloramines, and the Sprite is the best available filter for the other contaminants in the water. I have my set-up a little different Vitamin C filter then Sprite Showers ACT8-CM Traditional Filtered Shower Head. Will this ruin the effect of the Vitamin C you described? Cool. That should work too –either order works. The vitamin C filter will remove the chlorine first. What do you recommend if I want strong water pressure, the Sonaki Vitamin C filter and something to remove bacteria? And are all shower heads made w/ plastic water holes? I understand that the plastic lining in the holes makes it hard to remove calcium, lime, etc. w/ products like CLR or vinegar. Would Sonaki or Sprite be an option for strong water pressure, and metal holes vs. plastic? I also have a nickel allergy, but not severe, only noticed from earrings (don’t know if Sonaki and/or Sprite shower heads contain nickel). No shower filter on the market can remove chloramine. Just because the manufacturer says it on the website doesn’t make it true. Ask for independent lab testing from them if they say they do. Vitamin C is a decent form of filtering but just like aspirin dissolves in water so does the Vitamin C. You would be lucky to get even 1000 gallons of quality filtration from a Vitamin C shower filter. You contradict yourself by saying no shower filter can remove chloramines, and then acknowledge that Vitamin C filters can do just that. The Vitamin C tends to run out quickly, but it’s the best solution I’ve found. For $5 a month, it works for me. I’m sure the Rainshow’r filter is a decent filter, but the Sprite filter I recommend is certified by the NSF to remove chlorine. If you re-read what I wrote I said its a decent form of filtration. No where did I say it was decent at removing chloramine. The Rainshow’r filters are WQA certified to NSF Standard 177 for chlorine removal at a higher removal percentage for less than the Sprite. Please, re-read my comment, and you’ll see that nowhere did I indicate that you said the Rainshow’r filter removes chlroamines. However, your statements seemed to imply that my recommendations were flawed, which they are not. The Vitamin C filters remove 90-99% of chloramines in shower water. They are not certified, but as my article points out — using ascorbic acid is an established method of removing chloramines from water. The Sprite filter is certified to NSF standard 177 — and this certifies that a filter will remove “at least 50% of free chlorine” in the water — so a filter can’t be certified by NSF to remove more than that. If the Rainshow’r filter is also certified to that standard, that’s great. Anyone happen to chlorine & chloramine test these random bottled pharmaceutical-grade Vitamin C powders? Yeah, that’s a good article you linked, bookmarked it the other day while doing all this research, knew finding a shower filter wasn’t going to take only 5 minutes. You seem to have hit the nail on the head with the Sprite HOC plus a vitamin C filter being the best one can do for filtering showers. Would be nice to filter out all the VOCs but those filters apparently don’t really work with hot and pressured shower water. I’m buying a couple pounds of Ascorbic Acid Vitamin C Powder Pharmaceutical grade for like $15 shipped and hoping to refill the cartridges for something like a Sokani or whichever unit I find to have the least problems with leaking etc plus various high pressured spray settings. This is a fairly new market, so hopefully the products get better and the filters lower in price (if just drilling a hole and plugging it with a rubber stopper like I plan to doesn’t work out). It uses a gel glob of Vitamin C, but I don’t really trust the design with the vitamin C being in the head – it seems more prone for the water to escape around the vitamin C as it shrinks – seems like these units were originally just made to add things like aroma to a shower. Either way, I’ll just buy the powder separately, drill, and refill something like a Sonaki. Lastly, I recommend finding non-GMO Ascorbic Acid Vitamin C Powder. The price might be more than about $15 for 2 pounds shipped as I mentioned above, but it must be a lot safer to not breathe in steamed GMO vitamin C powder. and, just something like duct tape can probably be used instead of a rubber stopper after drilling/melting a hole to refill the vitamin c powder in a used filter. 2.2 lbs should last about two years for one person showering about every day, which is about how long until the powder expires, not sure yet how much I’ll use up. Also, just something like duct tape to cover the filter hole you make in the filter should hold better and be easier to work with than a rubber stopper. I read people are only getting about 1 month out of filters claiming to last like 3 months and that it’s costing them hundreds per year for filters. Some are just drilling holes in the fitters after they’re empty, refilling with vitamin C powder and plugging the hole with a 20 cent hardware store rubber stopper. Can I just use any pharmaceutical-grade vitamin C powder and do this? If you are willing to do that, I think it would probably work. I use pharmaceutical-grade vitamin C powder in the bath, and it looks similar to the Vitamina C in the filter (but it is densely packed in the filter). How much vit c powder do you put into each bath, & do you have a particular product/brand you recommend..? I use about 1/8 of a cup per bath (1/4 cup for a very full bath). I recommend pharmacuetical grade vitamin C.
I use this one myself — Now Foods Vitamin C Crystals but this one also looks good Bulk Vitamin C.
How can I test for its effectiveness? Your comment and evaluation is appreciate. Thanks. I doubt that it works. I’d ask to see their test data for chloramine removal. I called the Sante people and got a very defensive sales person who said that there is no data and there is no refund, so I won’t do business with them for sure. But I did find this other filter where there is a refund and where there is a test you can do to see if chloramine is reduced after you install the filter. What do you think? Thanks, I sent an email to the “Ugly Shower Filter” person with the point that you made about the effectiveness of the carbon filter with a fast flow rate. Let’s see what the response will be. what do you think of this shower filter which claims to filter out chloramines? I live in North Berkeley, CA, and East Municipal treats the water with chloramines. So the vitamin C filter link connects me to the SF-2000 version of the filter, which is not see-through, like the one you use. I guess Amazon is out of the one you recommend. Any experience with the SF-2000? Yes, the in-line filter has been unavailable for a couple years now. I’ve tried the SF-2000 and worked fine for me, but apparently many of the units are defective. Also, it’s a bit wasteful since you can’t refill it. Thanks so much, that’s really helpful! My next project is a filter for my hose – my veggies hate the chlorine, too! Glad to help. I was going to review garden hose filters too! I live in the city of Asheville, where water is treated with sodium hydroxide hypochloride. I think that’s bleach. Will I need both the Sprite and Vitamin C filters? Are chloramines produced? What do you think of Mercola’s shower filter? He claims it also reduces other contaminants, like heavy metals. Thanks in advance! Both filters would be best in that case. The Sprite filter is better than most for removing contaminants. However, the amount of heavy metals that any shower filter can remove is minimal unfortunately — the water is moving too fast, and it’s usually too hot to filter correctly. I’d guess that Merola’s is similar to the Sprite at best. Is there any way to add vitamin C powder to the Sonaki (or Neutra C) replacement cartridges? From reading reviews they don’t seem to last very long. I thought there might be a way to simply replenish the empty cartridge with your own vitamin C powder. I’m not aware of an easy method of doing that. I too would like to find one. My cartridges usually last a couple months. Are your cartridges filled with powder? There must be a way of getting more powder into the cartridge. Also, you mentioned you wouldn’t recommend the Neutra C filters, could you elaborate on why not? Thanks. It’s a sealed plastic cartridge. Not sure how you get the powder in there. I’ve heard that the Neutra-C cartridge dissolve even faster than the Sonaki. However, I haven’t tested them myself. Ok, thanks. That’s weird. If the cartridge is sealed, then how does the water make contact with the powder? There are few sources of vitamin C filters here in Canada. I would have to purchase anything from the US and this becomes cost prohibitive with shipping fees and exchange rates, especially if I have to replace the filters every couple of months. The Vitashower is available here. However, after reading Amazon reviews of the new revised Vitashower model (SF 2000) there seems to be just as many complaints about it. I am still looking for a cost effective solution for a Vitamin C filter. There’s a mechanism that rotates when the water flows, and allows the water to go in. Believe me, if there was a way to get the powder if there, I’d fill up the cartridge. Let me know if you find better Vitamin-C filter. My question has to do with what you said previously in the article…..”Personally, I would recommend a Sprite filter followed by a Vitashower SF-1. Unfortunately, the build quality of the Vitashower SF-1 is not good, but it is the only in-line Vitamin C filter available currently. You could also opt for a Sprite filter followed by a handheld version of the Sonaki showerhead.” If you use two different filters together like you said here…..how do they install or work together? Do you install sprite filter first and then sonaki? Would you possibly have a picture of how it would look all together? Thank you! I did take a picture of the set-up, but I don’t have it handy unfortunately. I’ll take a new photo and post it soon. Update: A photo now appears in the article. What you do is install the Sprite filter as usual on the shower spigot. Then, instead of attaching your your showerhead to the Sprite filter, you instead install the Vitamin C shower filter where the showerhead would attach. After doing this, you install your showerhead onto the Vitamin C filter. Hi, you said you posted the photo with the brass Sprite metal filter plus the Sonaki?? All I see is the the separate fotos and the combined plastic head with the vita c filter. Can you please post new setup.. I ordered both these on amazon but dismayed the sonaki may take up to 6 weeks to receive! Also do you think this system combo has to include a low flow shower head? I have a previous wand style, and not sure if low flow. Thanks! You are right, I should update the photo of my set up. You do not need to include a low-flow showerhead, I just use that for water savings. Sonaki In-line filter is available today for $60! Great news — thanks for letting me know. If I purchase the UV Water Purifier whole house filter will I need a drinking water filter such as Berkeley or New Wave Enviro 10 as mentioned in another post? I am trying to go green so bear with my elementary question. No problem! UV purifier will only kill micro-organisms. You’d still want another filter to remove heavy metals, pesticides and chlorination by-products. Up to 5ppm of chloramines can be successfully destroyed in a single pass through a UV reactor and up to 15ppm of free chlorine can be removed. Has anybody tried the Pelican Water Systems handheld? http://www.pelicanwater.com. I am curious to see how it compares to the Sonaki and the Sprite and the vita shower. I am new to researching this subject. I live in Los Angles in an apartmet building and the water is absolutely horrible. The daily build up and residue in my shower alone is so disgusting I can only imagine what it is doing to my health. They all sound great SMH…. I just want to know what system or 2 systems even would be the best for my skin and hair. The pelican water system sounded good, but is it just another gimic? Please share your thoughts, I would love a simple straight answer as to which one or 2 to buy, as I do not own the unit and cant have a filtration system installed. Did you end with the Pelican water system? I’m considering that one too. I’ve tried both the Vitashower and the Neutra-C shower filter. The Vitashower leaked despite tightening as much as I could. When I tested the water that was filtered through the Neutra-C, it showed no detectible chlorine (both free and total). However, the filter was used up within three days, which is ridiculous. The Vitashower quality control could be better, but it’s the best option out there for chloramine removal. I’d suggest send it back to Amazon or the retailer you purchased it from. I don’t recommend the Neutra-C.
Why don’t you recommend the Neutra-C? I haven’t tested that filter. It looks very similar to the VitaFresh filter. What aobut our GMO concerns? Almost all Vitamic C is produced from GMO corn so what would be a better alternative for filtration of chloramine and chlorine? True, ideally the vitamin C would be organically produced in America, and the filters would be made without plastics, but all I’ve ever found are the Korean vitamin C showerheads. If someone can show me better filter that can remove 99% of chloramines from the water, I’d be all for it. I’ve been researching the subject. Vitamin C only goes so far in removing chloramine. It actually leaves you with free ammonia. No thanks. The best solution I found is to use the same substance that we use to protect our aquarium fish from death by tapwater. It is called sodium hydroximethanosulfate. You can buy it in the pet store, in the section where they keep fish-keeping supplies. A couple of trade names are Amquel and ClorAm-X. One tsp. removes all chlorine and all ammonia from 10 gallons of water. The byproduct is a small amount of nitrate/nitrite. I knew this works great for the fish in our aquarium, but I was cautious about other applications for it. Well the day came when I was out of bottled spring water and needed to make up a fresh batch of sourdough. I also needed to replenish my kombucha culture. My husband suggested treating some tap water with Amquel. That sounded kind of scary but I tried it. It worked perfectly for both cultures. Having proven that Amquel dechloraminates my Dallas tap water well enough to keep my aquarium fish, my sourdough starter, and my wonderful kombucha tea culture alive — I cautiously washed my hair with it and took a bath with it. Wow! It’s great! It’s inconvenient to haul a bucket of warm, treated water into my shower stall or bathtub, but the results for my skin and hair are worth it. You will have to do your own research and decide if you want to try this. Nowhere do I find official statements saying it’s perfectly safe for people to drink water treated with sodium hydroxymethanosulfate. But the FDA definitely approves the use of this chemical in the water of fish that you are about to eat. All of thus evidence is enough for me. One more possibility is the use of “Campden tablets”. People who brew beer at home use these to treat chloraminated tapwater for use in brewing. There are two different variants in these tablets. Go ahead and read about it on homebrew websites if you’re interested. I understand that the only by-product is sulfite, which is perfectly safe. As I’ve pointed out numerous times in this thread, there is only a trace amount of ammonia produced the ascorbic acid reaction. Moreover, there is no other equivalent product that can be used in shower filters. The article says that activated carbon filters leave you with free ammonia, not Vitamin C filters. Actually, activated carbon and vitamin C will leave small traces of ammonium. But all mammals and aquatic life have no problem with it. Also, the vitamin C has a half life removal of chloramine of about 4 minutes. A shower head just doesn’t have enough exposure time. A catalytic carbon filter would be the best, but you need at least 45 seconds of exposure. A non-catalytic carbon filter takes about 4 times as much carbon or exposure time. Maybe another idea is to take a vitamin c filter and place on the input of your hot water tank. It will have plenty of time to break down the chlorine and chloramines. Then put a good carbon filter on the shower head. The way it stands now, chlorine is removed fairly well with a good carbon filter, but chloramine is only removed by maybe 25%…on ANY of the filters out there. Using this “batch” method, probably 80% or more would be removed. For those of you who use the Vitamin C shower filters – Have u actually conducted any water testing to confirm effectiveness in removing Chloramines? (c) include a resorvoir that’s made of Glass or BPA free plastic? I’m envisioning the use of countertop / sink chloramine filter (cheaper than whole house) to collect room temperature water (more effective against chloramine removal than warm/hot) being added into the reservoir of the portable shower, with a certain amt of the water boiled to the water warm it up (probably safer than using a temp controlled portable shower system indoors, I’m guessing). Again, if anyone has done any water testing on the Vitamin C filters to confirm it’s effectiveness, please let us know. Need to know ASAP, please. Thanks! Thanks for the excellent article! I have tried a Sprite with no noticeable results. I had my water tested and there are chloroform and other THMM, which I know Vitamin C won’t help with. My water system doesn’t use chlorine, but chloramine. I also think I have hard water. Since the KDF alone (in the Sprite) didn’t work for me, I am considering an Aquasana, with both KDF and carbon, or a WaterChef with something called thermal guard catalytic carbon. Do you know if either of these carbon options might be effective? Thank you. Thanks for the feedback. To remove chloramines, the Vitamina C filters are the way to gone, because they’ll remove 90-100% of the chloramines. It is difficult to remove those other contaminants at the showerhead because the water is (usually) hot and moving fast. The filters you mentioned might remove some of the contaminants at the shower, but the best solution would be a whole house filter. Try Berkey for your counter water filter – I love my Berkey water filter! I have the black elements plus the fluoride filters. I have been using these for about 2 years and it is looking to be a good 9/3 years more, respectively, before I need to replace either. Thanks, great read! I have been trying to decide on a shower filter and I think I’ll be getting a Vita-C filter. Though I was wonder do you have any recommendations for a faucet mount filter for the bath. Does the sprite hob-cm filter out voc’s and if not could you attach a filter to the sonakai that does and any recomondations? Hi! Wow, lots of comments to sift through. I’m guessing your 2013 reviews were based on your own skin issues with chlorine and contaminants? Are you still using and liking the Culligan In-Line Shower Filter and the Sonaki Hand Shower Set Vitamin C Filter inserted? I saw the picture. Have no idea how to do that. You could get a job installing these for people! My husband is suffering from serious sebhorreic dermatitis. Itchy, scaly, a little puffy in the hairline and beard area. This started around the time we moved from Brooklyn to the Philly area. We’re thinking it may be the chlorine in the water. My very light asthma symptoms have increased to where I use my inhaler multiple times a day. Anyway, thought I’d reach out directly in the comment section before dropping cash just to see what your latest recommendations are. Thanks so much! We’re in dire need of a fast solution. I updated my recommendations this week, so the full set-up is a Sprite or Culligan filter, followed by a Vitamin C filter. Thanks for the quick reply! Are you a fan of the Heaven Fresh Vit C? It seems to do everything so you wouldn’t need a double filter set-up. And Amazon reviewers seem to like it. Have you tried it? We’re also considering starting with just one filter before getting fancy. For some reason I can’t find the picture of your shower setup. I am lost and want to know how to install the neutra-c filter in conjunction with the sprite filter and oxygenics shower head. I understand how the sprite filter and oxygenics shower head go together. What I’m confused about is how the neutra-c filter fits in there. From what I read online, the neutra-c is only compatible with a hand shower head, which the oxygenics is not. I also read that is has to be upright for it to work properly, which also would not work with a normal shower head. Can you please help me figure this out? I can’t get in touch with the Neutra-C manufacturers. They haven’t replied to any of my emails. At this time, I would recommend a Sprite filter followed by a Vitashower SF-1. The build quality of the Vitashower SF-1 is not good, but it is the only in-line Vitamin C filter available currently (besides the Neutra-C). You could also opt for a Sprite filter followed by a handheld version of the Sonaki showerhead. Thanks so much for this information! I also noticed the huge lack of legitimate shower filter testing. I’m wondering what type of shower filter would work best for cyanobacteria. We live in S. America and our local municipal water supply is starting to have contamination problems with this bacteria caused by blue green algae blooms in the large freshwater lake they use as a primary water supply. Health advisories have been going out to say don’t use the water for showering without filtering. But most filters kdf, ceramic, vitamin C seem more directed against chlorine, sediment, chloramine while the filters with charcoal would seem to have problems of short life span or effectiveness due to not working well with warm/hot water. Any suggestions as to what type of filter(s) would work best against these little buggers? (I previously posted but got no reply, thanks) Can you break down the best shower setup while using heaven fresh vitamin c filter/shower head. I know with the previous version it was the sprite filter then Sonaki vitamin c filter attached and attach to a low flow shower head. I believe you should be able to attach the Heaven Fresh Filter to the Sprite Filter and use them in tandem, if you like. I have not tested this setup though. Do any of these filter include the removal of lead also? The Sprite filter will remove some lead, but not the Vitamin C showerheads. Any reason why someone couldn’t make a homemade inline unit and then just buy the refill cartridges from Sonaki? The photos of the inline unit do not look like there is much to it, just the housing and the connectors. The Sonaki handheld units just seem quite pricey for plastic….. I thought about that, and I don’t see why you could construct a filter unit yourself. You just need the water to pass across the Vitamin C, for the filter to work. Thanks for the reply. We already use a Berkey shower filter, so I’m just looking to reduce chloramines. The Sonaki handhelds look nice in the photos but I’ve read too many complaints of them cracking or leaking after a couple of months. I’d rather buy a quality handheld and add an inline unit along the hose someplace and just use their cartridges in it. My father is a plumber (semi-retired) and I’m going to send him some photo’s to see what he can come up with. I’ll keep you posted if it works. Yes, unfortunately the shower filters from Asia have always been dodgy in terms build quality. I wish a reliable manufacturer would produce one here. Did your plumber father figure anything out? We’re in the middle of trying to concoct something ourselves and would really appreciate any information you may have. Hi …We have hard city water in the Sacramento area. For the last 3 yrs., we’ve been using a Sante shower filter called “Destroyer” with high KDF. While it helps soften the water, my color treated hair still loses color after showering. I’ve been told by Sante that they have another filter that takes care of the cloramines, in addition to the chlorine, (it’s not Vit. C) and that they’re the only ones with this technology. Do you know about this and is it worth my money to try it, as they don’t offer refunds? Also, do you know what exactly it is in the water that causes the hair color to fade? Chlorine, cloramine, or other minerals? I tried the Sprite filter and it was like using nothing at all ….the color loss was even worse than with the Sante. Thanks in advance ….I’ve worn myself out looking for the right filter system and spent a lot of money in the process. I heard that chloramines can only be removed in the shower with Vitamin C. However, I will look into Sante’s claims. I do know chlorine causes color to fade — you see it in the swimmers who spend a lot of time in chlorinated pools. So I’d bet its the chloramines or chlorine. You could try an inexpensive Vitamin C filter and see if it works for you. do you think the berkey shower filter is any good? would like to get your opinion on that. Fair and good review. For those who are interested in Sonaki VitaMax Vitamin C In-Line Filter you can purchase it from Vitaminshower Singapore. http://vitaminshower.com.sg. Going off topic. You recommend the 2 shower filter. I was just wondering if youv’e tested the Berkey filter. I have used them for drinking water and they have rave reviews. Just wondering. Thanks. P.s I do not have chlorine. I’m concerned of other groundwater contaminents and rust/iron, bacteria, etc. Thanks. The info is very informative. I am just wondering if anybody tested Santevia shower filter, or aware of any verified results? Could you give us an update on how long the Heaven Fresh filter lasts, I checked amazon and they are currently not available, $19 on amazon. I also read a review by someone who was repeatedly sent a different refill..To bad the inline filter was apparently discontinued and the other ones seem to get mixed reviews..I would of bought this new one you recommend but the lack of refills and the bad customer service put an end to that, for now.. I now recommend the Heaven Fresh Vitamin C Shower Head, or the handheld version of the Sonaki showerhead, which comes with a low-flow shower head, and two replacement Vitamin C cartridges. Can you break down the best shower setup while using heaven fresh vitamin c filter/shower head. I know with the previous version it was the sprite filter then Sonaki vitamin c filter attached and attach to a low flow shower head. Do you think the Heaven Fresh vitamin C shower head works as well as Sonaki/Vita Fresh? I have the Sprite and am wanting to get a vitamin C filter now in addition. I know the article recommends Sonaki, so I wasn’t sure how you felt on the Heaven Fresh. Thanks! I believe the Heaven Fresh product is essentially the same as Sonaki. Justin, thanks a bunch man! Very helpfull. Can you tell me is there a mount or an attachment for the Sonaki handheld shower heads to attach to the shower spout at the top? Or does it somehow attach to the bottom bath spout? thx again for your great write up here. Thanks. Its comes with its own attachment. Hey there, really appreciate all this information and am looking forward to replicated your setup. I was wondering if you’ve seen this filter and if it could be substituted for the Sonaki. I don’t have a hose shower so I’d like it to fit just like you have the Sonaki in your picture. Why is the Vitamin C filter not sufficient by itself? Why do you have to put it in-line with the Culligan? Thank you for your research. I’ve been looking for a Sonaki Vitamin C filter, but currently they are out of stock and have been for 11 months. Have you heard of this Vit C filter? Yes, I’ve tried thatand it is very similar to the Sonaki. I have purchased 3 filters now and best thing is, they don’t take up much room and look attractive together. First one is the Sprite brass/chrome one. (same as the above pictures). Then I connected the Rainshow’r ‘New century’ filter, and then the next stage is the Sonaki Vitamin C hand held shower with the waffle head design 🙂 So now I am absolutely confident that I have good water coming out of my shower. Best of all, the pressure is still very good. I also hope that the Sprite filter prolongs the life of the other Rainshow’r filter so I only need to bother changing that one every 2 years (rated life 12-18 months). I am surprised so few people have heard about shower filters or that they don’t take the health risk claims of bathing in heated chlorinated water seriously. Given that the vitamin C filter alone costs only ~$50 a year, that’s a great investment for your own health and wellbeing. Here in canada the sprite filter is around 100 $ , They also sell some cheaper plastic sprite filter . Are those similar and recommended ? The Sprite filter is good, but there’s not a large difference in result among most shower filters,becuase the water is warm and moving quickly in a showerhead. So I would buy what is reasonably pricedi in Canada. Of course the Vitamin C filters excell at removing chlorine. I live in NYC and whenever I leave, my hair looks great after a shower and in NYC it looks terrible. I think it has to do with what is in the water (lots of sediment I believe). Because of the sediment, filters often stop working far quicker than other parts of the country. which one of these filter or any other filter that you would recommend that works better with NYC water (which still makes great pizza and bagels despite this!). Thank you! I thought it was just me! I have the same experience. In Los Angeles my naturally curly hair is soft an manageable and upon first wash in Manhattan looks I stuck my hand in a socket and fills like straw. My entire family is dry and itchy. HELP! Have tried Sprite and vitamin C tabs. Both seem to help but I wonder if there is something more needed for sediments. Any suggestions? If you use Sprite in combination with a Vitamin C filter, that’s pretty much all you can do at the showerhead. You could opt for a whole house water filter, but that’s pretty pricey. I use 100% raw aloe vera gel from Mountain Rose Herbs (http://www.mountainroseherbs.com/bathbody/body.php) on my skin and hair, to relieve dryness. However, glycerin is one of the best moisturizing substances available — you can mix it with aloe gel. Please share the explanation with the rest of us. I am inclined to think it might be a scam as well, although it could use the venturi effect. I’m curious what the manufacturer claims is the engineering behind these. I have purchased these Vitamin C shower filters and when changing the filter believed they were nothing but a scam. 99.99% of the water will not make contact with the vitamin C. The water flows around the cartridge bypassing the vitamin C altogether. There is a tiny pinprick hole at the top of the cartridge only. Water under the huge pressure will exit the most easiest path which is straight out the shower head. The pin prick hole is enough to keep the vitamin C wet (so it can dissolve and look as if it’s doing a good job). Unfortunately the only treated water you will get is the initial burst at the start of your shower which probably goes down the drain while you wait for the water to warm up. Does anyone have advice for filtering a handheld shower head? I need a filter for my shower head to filter well water that is hard and drying out my hair. I have looked at the Sprite you recommend and the Sante filter and I am confused about the KDF for each and the benefits of having more of that in the filter. Actually I just ordered a handheld inline vitamin c filter and checked to see if the cartridge was sealed. I was able to unscrew the cartridge and open it up. (fantastic)! Now my question is which type of Pharmaceutical grade ascorbic acid do I use, a buffered one and/or 1000mg. It would be so much cheaper to refill this way especially when a refill is upwards of $10.00 each. I guess the best way to determine the residual chlorine would to be a pool water test kit and check the values with the media I using now and with the 1000 mg. vitamin c crystals. Any suggestions/thoughts?? Technically yes, but the vitamin C is contained in sealed plastic so it would probably be difficult. Justin, thanks for this info. Unfortunately, it is impossible to purchase the inline Sonaki filter any longer… I wonder if they just want to offload their more expensive showerhead/vitamin C combos, which are constructed of plastic and are reviewed as short-lived. Do you have any familiarity with the only other two Vitamin C filter options that I’ve found online: Neutra-C (for handhelds only) or Vitashower? Any word on the Neutra-C inline filter yet? Also, do you think the Sonaki refill cartridges would work in the Neutra-C inline unit? The Neutra-C filter gets good reviews — I’ve included it in my recommendations now. It’s possible that the Sonaki filters would fit into the Neutra-C filter — I haven’t tested yet. Thank you so much for this article. I wonder, though, where is your recommendation for Neutra C (and a few others) listed. I only see the same Sonaki Vitamin C and Sprite filters recommended in this article…. Neura C filters are fine — they are essential the same as the Sonaki filters. The picture of the combined showerheads using te Culligan In-Line Shower Filter and the Sonaki Hand Shower Set Vitamin C Filter is no longer available. Can you advise or post a pic or e-mail me the exact setup for the two intertwined please? Thank you. Have you looked into the Rainshow’r brand, they are made in the USA. Also very easy to install, I have the CQ 1000 DS, and have noticed a great improvement in my shower water. Thanks for reminding me about this brand — it is nice that it’s made in the USA. I’ll have to update include it in my article update. What about the ammonia? When the chloramine is neutralized by the vitamin C, what happens to it? So the sprite rating of 20,000 gal is really a lie by any reasonable standards. Only vitamin-C filters remove 100% of both chlorine and chloramines. Would this still work for a rainfall shower head? For square shower head that screws on to the wall fixing? Oh and please update if you do find another source for the product! I’ve only just be enlightened about this and it all makes so much sense, I was attributing a lot to hard water but never thought of the chlorine side. Most informative this article, thank you. If those shower heads have standard pipes that are accessible, you should be OK. Thanks, let me know if you find a different source, since a lot of readers are interested in finding the in-line filter. my culligan and sprite combo are great..no more itching. Thru some digging I understand that carbon filters do not work with warm or typical shower temp water. The carbon removes chlorine from room temp drinking water. The kdf shower filter also has trouble removing chlorine from warm / hot shower. What do you think or any input would help in buying ashower filter. Your research is correct — once the water reaches the shower, you can generally only remove the chlorine and some sediment. You need to use a whole house filter, if you want to do more complete filtration. Any idea when the redesigned inline vit c will be available…I’ve got the culligan and sprite. I’d like the in line vit c but Im inclined to wait for the redesign.. I also emailed the U.S.-based vendor, and he said he doesn’t know what’s going on either. Maybe I’ll track down the South Korea manufacturer, and ask them. Considering the vitamin C filter is the best one, why did you decide to also put in the Sprite filter? And do you recommend this for me? I suffer from chronic eczema, vitiligio and keratosis pilaris (yes, I know). Do you recommend me using both of showeres (considering I’m on a budget, but if there will be a true benefit i dont mind spending on it. Or any other suggestions? The Vitamin C filters only remove chlorine, so I added a $16 Culligan shower filter to remove other contaminants in the water. At the time, I could afford to get the Sprite. This filter probably won’t have significant impact on a skin condition. I’d also recommend using aloe vera gel after showering. Hope this helps. For eczema, you probably want the maximum amount of filtration. However, I’d go for a Vitamin C filter first, since chlorine really dries out the skin. Then, after the shower, I’d use some Aloe Gel with minimal additives (aloe with even minor additives irritates my skin). Thanks for the suggestions. I would like to mimic your set up. Seems pretty easy except the vitamin C inline is sold out. The vendor listed above…would you trust them? there is not contact, email, nothing. I found a website in Australia that sells the Sonaki brand. They are twice as expensive as the vendor you are showing. Is it worth the $100 and who knows the shipping. Or should I take the risk with this vendor here and pay $50 or so? Also, I have read complaints on the refill cartridges not being as sufficient and the ones that come with the filter. Complaints that they are different. Thanks for the advice. (1) Do you use all three filters/heads in-line (Vit C, Sprite and Oxygenics)? If so, I’m assuming the sprite or vit c can be first or second in-line (does it matter) and then attach the oxygenics? (2) Do you have an oxygenics head preference? They all seem like they deliver the same qualities to the water – it appears the only difference is look and spray type. Wow, this is going to be quite the apparatus! (1) I’ve added a photo of my current setup to the article. I opted to put the Vitamin C filter after the Sprite, to avoid the possibility of the Vitamin C being removed by the Sprite filter (I’ve heard that the Vitamin C can be absorbed the skin). (2) I haven’t tested all the Oxygenics, but I’d pay attention to the GPM (gallons per minute) they deliver. Hopefully they all have similar spray pressures. So I got the Sprite HOB-CM Brass Shower Filter and love it and now want to get one for my kids shower which is a hand-held. I see that Sprite has a hand-held version of this filter. My question is which would be better. Getting the regular Sprite shower filter and attaching it with my current hand-help sprayer or getting the Sprite hand-held filter/sprayer? Either setup should equal out the same about of filtration! Now what if someone purchased the vitamin c water filter and they have color treated hair. Would the vitamin c weaken the color/remove it at a faster rate? I look forward to your reply. I believe the amount of Vitamin C in the water would have no effect on color treated hair. Working as a hairdresser for decades, I do know many of the color companies use ammonia to deposit color in the hair, as it causes the (outer) cuticle layer to swell therefore the allowing the color molecules to enter. Citrus has an acidic nature causing the cuticle layer to close and the ph level of the hair to drop (usually a desired effect). A small amount of Vitamin C in the water may actually have a beneficial effect of keeping color in the hair along with a lower ph and creating shinier hair! great post. any suggestions for bathtub faucet filters?? I would like to install the Sprite filter with the handheld version of the Vitamin C filter…is it possible and how would I do that? I was thinking the same thing..Have you tried it and if so what do you think.. Seems that everyone is sold out of the Sonaki Vit. C filter because it is being changed (says their website). Do you have a second suggestion that serves the same purpose? There’s also the handheld version on Amazon. Has anyone tried out this website? I see no contact information, which makes me question its legitimacy. Also.. any idea why Sonaki discontinued this popular filter? I installed the Sprite Shower Filter as normal on my shower. I then attached the Sonaki Vitamin C filter to the outlet of the Sprite filter. It’s pretty straightforward, and its been working for about a year now! I didn’t notice any change in water pressure, perhaps because I’m also using a self-pressurizing Oxygenics SkinCare Showerhead. See my review of these showerheads here. When I click on your link for the Oxygenics SkinCare Showerhead, it brings me to Amazon where the photo of the shower head is not the same your shower head. Is this because you have an older model that is no longer available? Thanks! Sorry, it was actually a EarthMassage showerhead. I prefer the Oxygenics though. I looked at the Sprite Shower Filter link you provided and it shows a silver chrome filter but I don’t see it in the photo of your shower set up. Your photo shows what looks like a white object attached to your shower pipe/arm and then attached to the white object is the Sonaki Vitamin C VitaMax filter and then the Oxygenics showerhead. Just want to make sure I get the right Sprite filter. I currently use the Sprite All In One filter but want to replace that with the Sprite filter and Sonaki VitaMax filter. Thanks for your assistance. Sorry for the confusion. That older showerhead is not a Oxygenics showerhead (it’s an EarthMassage), but I have a similar set-up in my other shower with an Oxygenics, and it works well. Thanks for the clarification. So you recommend the Culligan inline filter over a Sprite filter? No, the Sprite gets better reviews than the Culligan filter. But the Culligan is less expensive. I read that Vitamin C (a weak acid) reacts with chloramine to form HCl (a strong acid). It doesn’t seem to me that HCl in my water would be preferable to chloramines. Does anybody have info on the chemistry? I wrote to Sonaki but did not receive a reply. Also, I have the Sonaki Vit C filter and did not notice a difference in my water. When the Vit C ran out and I removed it, it appears to me that the filter is a closed system- that the water runs in but I’m not sure how it comes out again. The holes are very tiny so the entire volume of water coming through the shower line couldn’t possibly be passing through those tiny holes. I think the chamber fills with water and in time dissolves all the Vitamin C and simply stays there. I don’t think it’s treating the color amines at all! Have you tested the water for chloramines, before and after? Vitamin-C (which is ascorbic acid) does form an acid in the process of neutralizing chlorine and chloramine, but it is a very weak and mild acid. 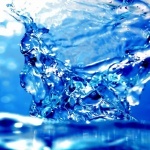 Moreover, hydrochloric acid is found in all chlorinated water — it is a byproduct of chlorine disinfection and generally occurs in concentrations too low to be of any concern. Q: Is it necessary to remove disinfectants from drinking water in a home setting? A: No, chlorinated and chloraminated water is safe for people and animals to drink, and for all other general uses including bathing. EPA believes that drinking water disinfected with monochloramine that meets regulatory standards is safe to use and it does not need to be removed. (USEPA, 2009) The removal of either chlorine or chloramine from drinking water is not necessary for public health but some customers may elect to do so for common household purposes based on personal preference. mine demand (Wilczak et al., 2003b). Therefore, it is not practical to remove chloramine by letting an open container of water stand because it may take days for chloramine to dissipate. prepare tea or coffee removed about 30% of chloramine. Conversely, chlorine was not as consistently removed by boiling in SFPUC tests. If desired, both chlorine and chloramine can be removed for drinking water purposes by an activated carbon filter point of use device that can be installed on a kitchen faucet. If desired, both chlorine and chloramine can be removed for bathing purposes by dissolving Vitamin C in the bathwater (1000 mg Vitamin C tablet will neutralize chloramine in an average bathtub). SFPUC doesnot recommend that customers remove disinfectants from drinking water. Customers desiring todo so should consult with their physician. That’s the problem isn’t it? If 1g of Vitamin C is needed for a bathtub, how much C is needed to make a shower filter that will more than a few showers? Also, it doesn’t say how much is removed. The report seems to think that a 30% reduction in a cup of tea is a great thing. But in our testing at least 70% removal is needed for an effect on topical eczema. Lastly, as you pointed out, Vit C does not remove the disinfection byproducts, agricultural and industrial chemicals present in most tap water. Still need carbon for that. The Vitamin C shower filters have been tested to remove 100% of the chlorine. I don’t have the reference for that right here, but if you go to their websites, you’ll find it. I recommend using the ball-style bath filters in conjunction with the vitamin C, to remove some of the other contaminants in the water. How did you install the two shower filters in tandem on one shower head? How did you prevent a significant decrease in water pressure? A second filter with carbon is an inspired idea with the vitamin C filter because chloramine causes lead solder in indoor plumbing to leach into shower and drinking water. Chloramine is a very bad, short-sighted idea IMO. Bladder cancer rates are higher in regions back east where chloramine has been used for as a water disinfectant for several years. Pingback: Is your daily shower making you sick?